So how can you make a small business “visible” in a busy & over-crowded marketplace? You’re finally ready to start taking your online marketing to the next level. You’re not interested in “get rich quick” or the latest ‘here’s how make money online” schemes. You understand that nowadays just about every small business owner with any sense at all, is trying to make the Internet work for them. This is a no-brainer, because over the last year nearly 87% of all US consumers used online media to find nearby, local businesses to shop at. In other words you don’t have to be a rocket scientist to “get” that web marketing is the right place to be. But you’d be a fool (and an idiot) if you believed some the crap that the internet marketing “gurus” and social media “pundits” are trying to push on you. You want learn to use online marketing that works – something that lasts for the long term. In plain language, you want results. Over the last 6 years as an online content developer, I have found that were 3 fundamental marketing elements to every successful online marketing campaign. These 3 action steps, I have discovered are the pillars or cornerstones to building a profitable website and a successful online marketing model. When I say a “get online” I mean you need to build a “credible website”. Building a website is like building a basement for a building. The better the foundation is; the stronger the building. Or a hobby blog that was cobbled together for you by an inexperienced teenager. What I mean is a state-of-the-art, fully functional website (based on the WordPress platform). I mean a good-looking, business blog that you can update by yourself (and that you actually own). Back in the Dark Ages (5 or 6 years ago), there was a thing called SEO (Search Engine Optimization). Back then 100,000’s of small business owners spent 1,000’s on hiring SEO experts to drive traffic to their websites. Now, in this new and enlightened age, 100,000’s of small business owners spend 1,000’s on hiring SOCIAL MEDIA experts to drive traffic to their Facebook pages. Sound familiar? Okay while it might seem that I am hard on both SEO and social media, they serve a very important purpose when it comes to your marketing plan: They are “attention-grabbers” and “traffic-pushers”. 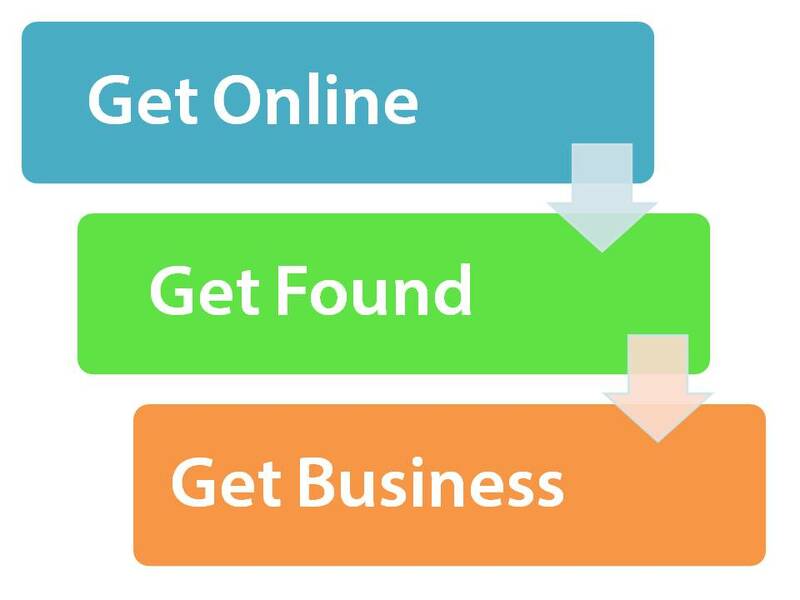 SEO works by using search engines to “drive” interested people towards your website. While Social Media on the other hand “grabs” people attention and then “lures” them back to your website. This digital “push-me/pull-me” combination can be very effective (when used properly). Getting more business is the final step in this master marketing trio is based content marketing. Content marketing is basically when you create online content that educates your prospects and customers rather make sales pitches to them. Content marketing allows people to get to know, like and trust you – long before they every call your office or come to your front door. If the same agent used good content marketing, she or he would create a downloadable special report titled, “The 5 Mistakes Everyone Makes When Selling their House (and What to Do Instead)”. This report first would encourage the reader to print it out (so it becomes a ‘physical’ resource/reminder) and would lead a reader through all the traps and pitfalls of selling their home. By offering smart blog posts, tutorials and downloadable special guides/reports are just a few of the ways a small business website can help you expand your business.